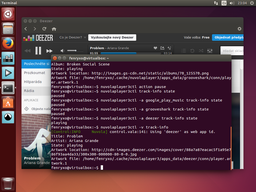 The Nuvola Player 3 project officially supports and provides packages for Ubuntu 16.04 and 17.04. 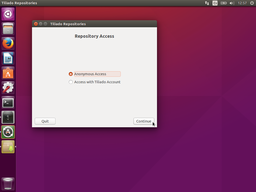 Ubuntu Software currently cannot install third-party deb packages. We recommend using GDebi package installer (package name gdebi) until this issue is fixed. 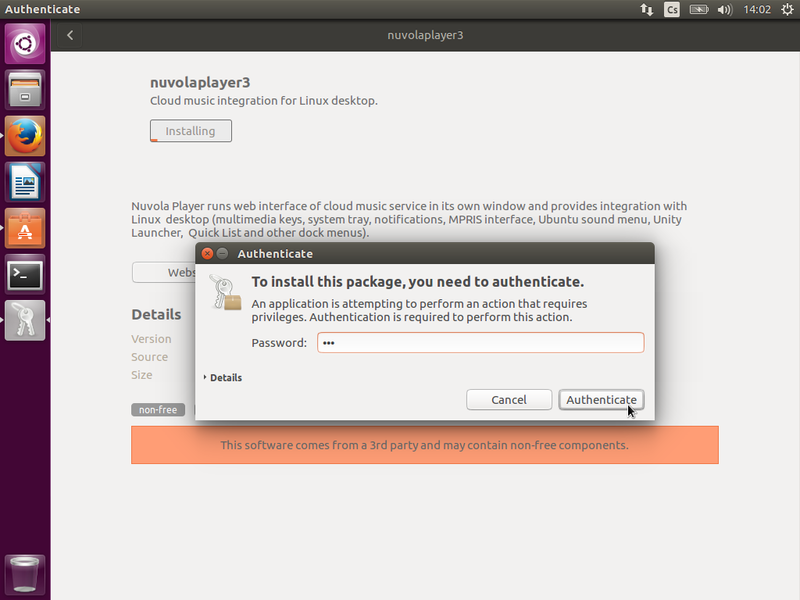 There are three ways how to install Nuvola Player on your system. Choose the one which suits you best. 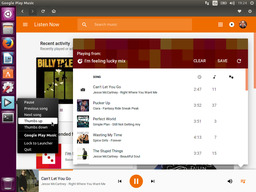 All-in-one Nuvola Player Bundle: A single package that bundles the core application as well as integration scripts of streaming services. Upon installation, all components are updated independently. 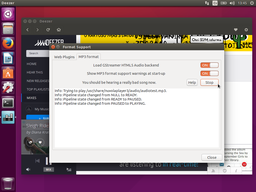 This method is recommended to less experienced users. User-friendly graphical installation: Users who are not friends with a terminal can take advantage of an easy-to-use graphical installer. 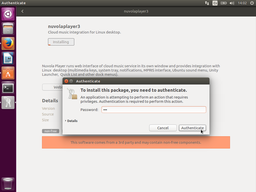 This method is recommended to less experienced users if installation of the Nuvola Player Bundle fails. 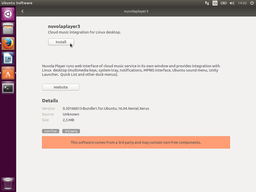 Manual installation from terminal: Power users who are excellent in command-line kung-fu can just add the Nuvola Player Repository manually and install Nuvola Player using common package management tools of your linux distribution. Then skip to the section Check format support. This method is not recommended to less experienced users. Any mistake can break your system. 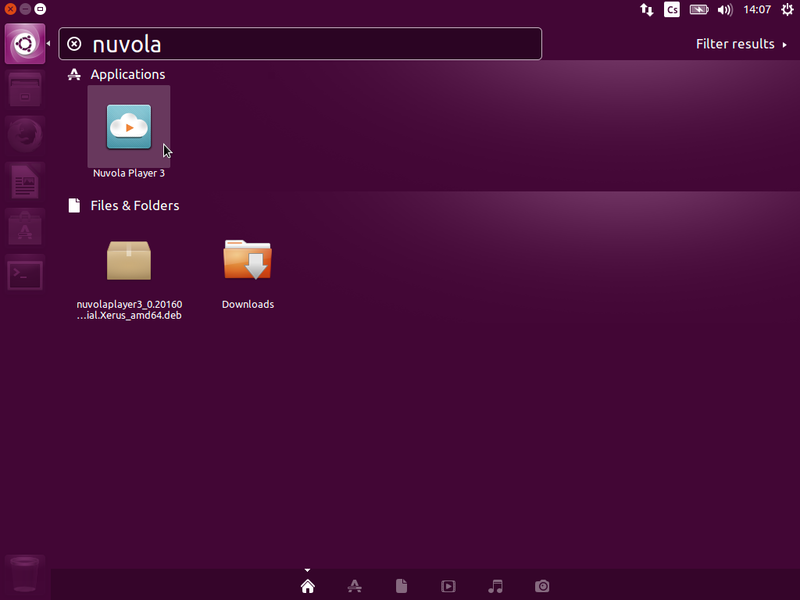 Download All-in-one Nuvola Player Bundle. 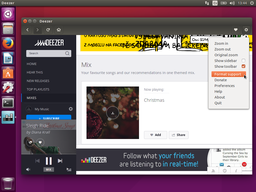 Note: Choose correct distribution and architecture (i386 for 32-bit processors and amd64 for 64-bit ones). 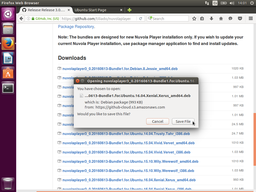 Open the bundle package with the Ubuntu Software application and install the package. 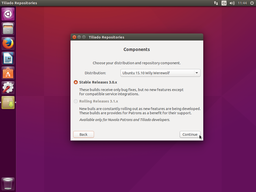 If the installation is not successful, try the User-Friendly Graphical Installation procedure as it is more robust and can solve conflicts to a certain degree. 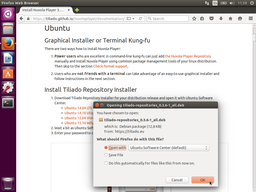 It is recommended to always download an up-to-date version of the Tiliado Repository Installer. 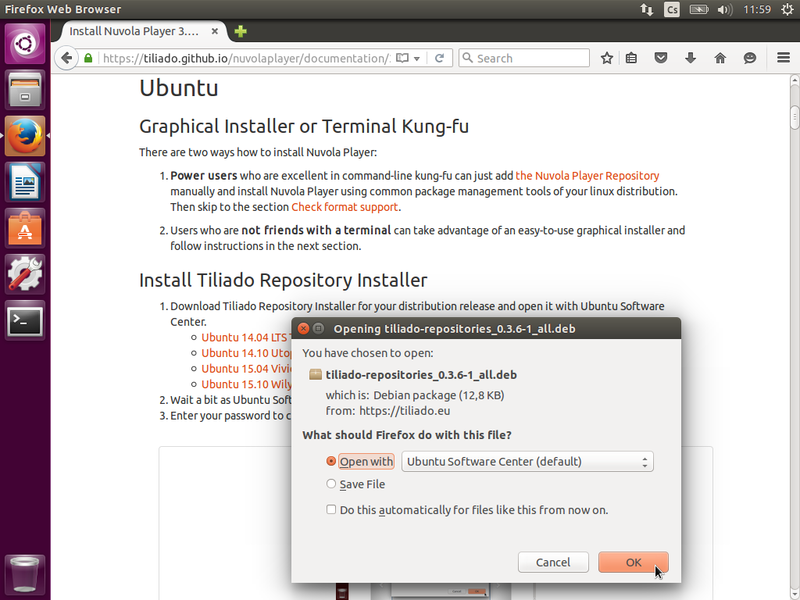 Download Tiliado Repository Installer for your distribution release and open it with Ubuntu Software Center. 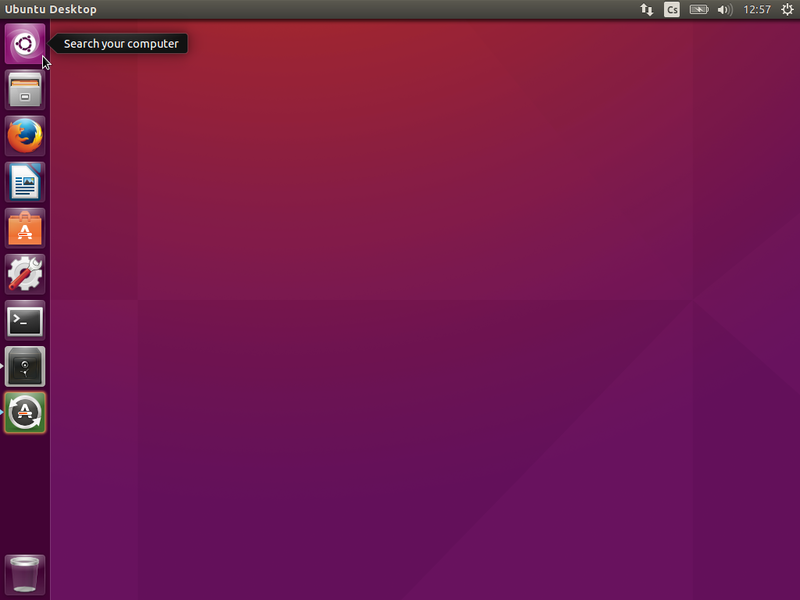 Wait a bit as Ubuntu Software Center is a pretty slow beast. 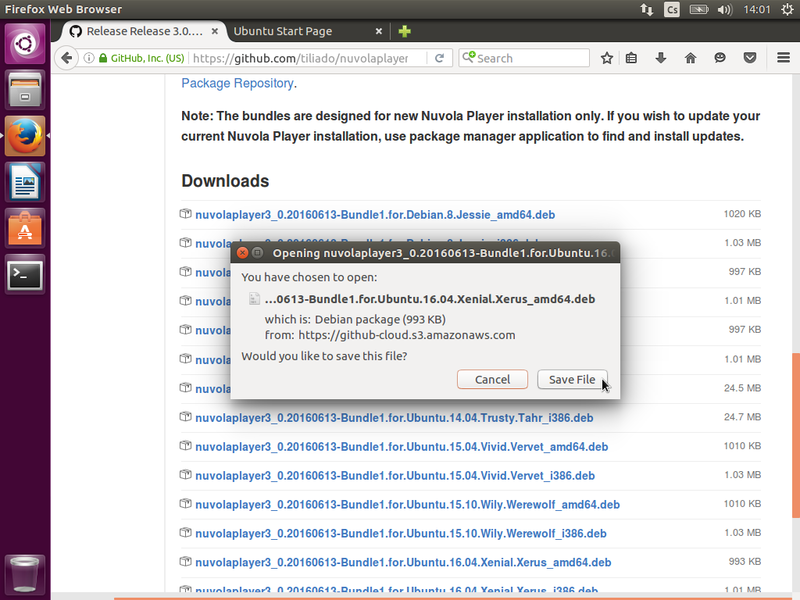 Then click Install button. Enter your password to confirm installation. 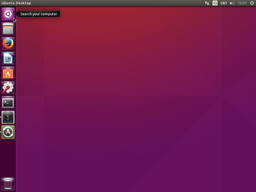 Click Ubuntu button in the top left corner to open Unity Dash. Use anonymous access or Enter login credentials to your Tiliado account. 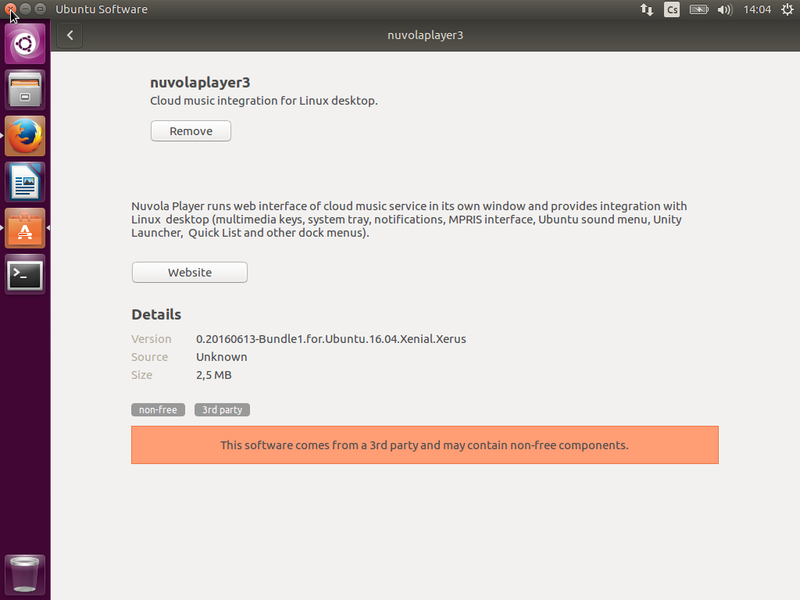 Select repository components you want to install Nuvola Player from. 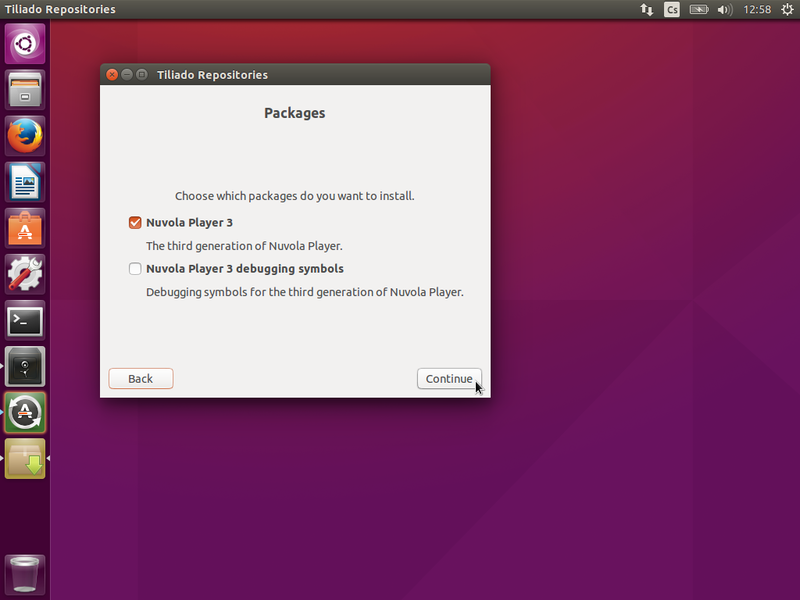 Select which packages you want to install from the repository. Review the summary and click Install button. 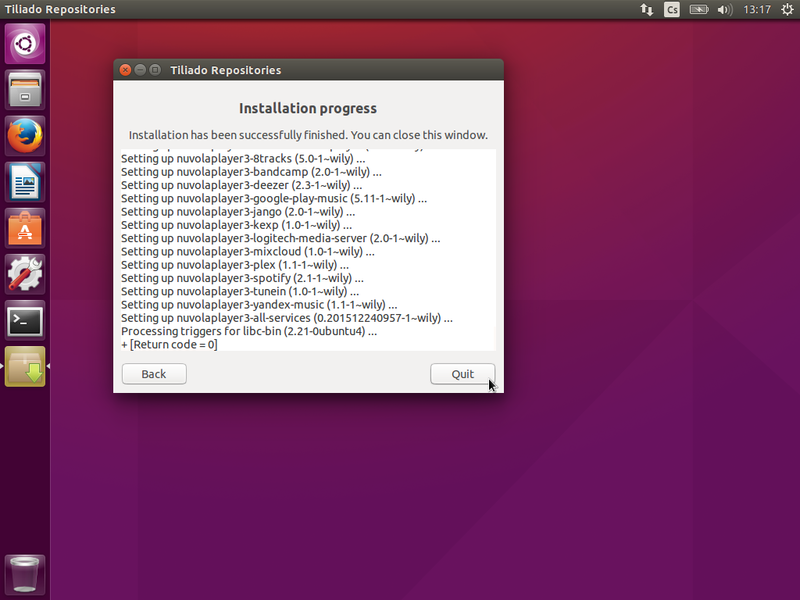 If installation is successful, click Quit button. Otherwise copy the installation log and contact support. 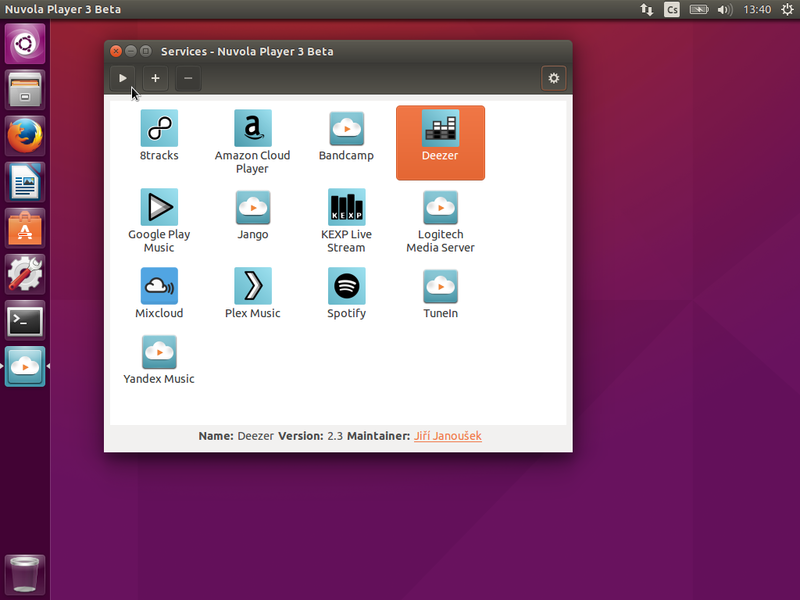 You should see Nuvola Player 3 services selector window. 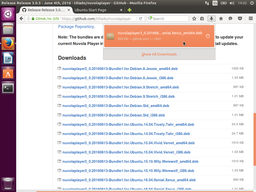 Nuvola Player 3 packages for Ubuntu have both Flash plugin and GStreamer MP3 audio decoder as dependencies, so these plugins should work out of the box without any hassles. 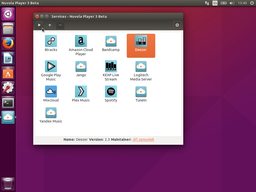 You should see Nuvola Player 3 services selector window. 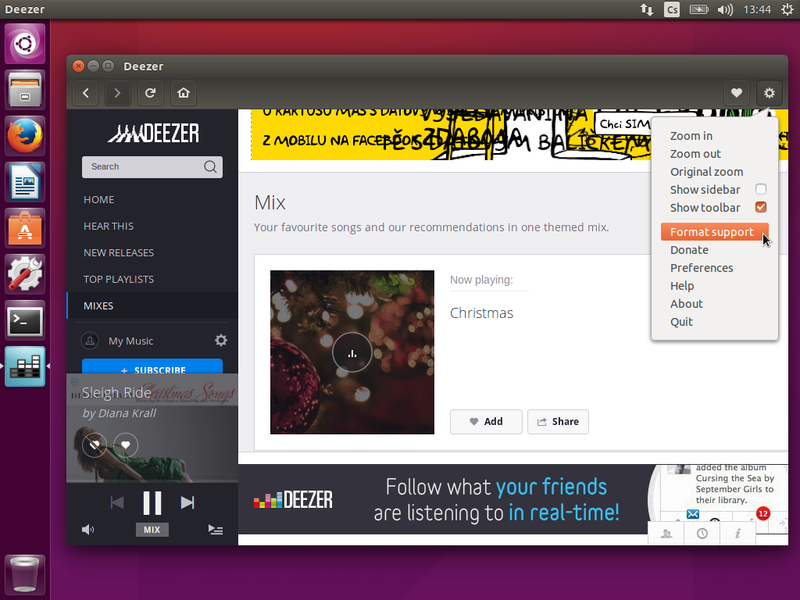 Launch any streaming service. 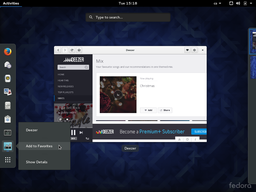 Open Gear menu and select Format Support. Tab Web Plugins shows information about available Flash Player plugins. Tab MP3 format shows information whether GStreamer MP3 Audio encoder has been found. You can click button Check again to run a MP3 support test.